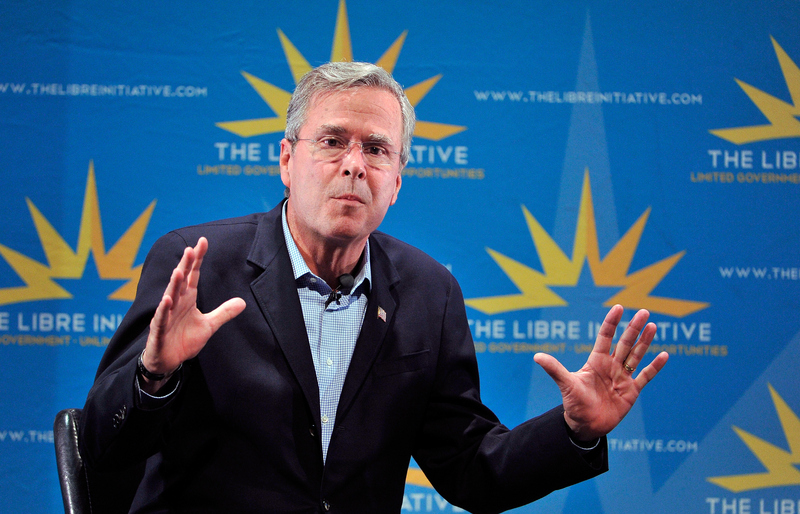 Jeb Bush is having a rough go of it. As Democratic frontrunner Hillary Clinton enjoys the uniformly positive reviews of her testimony in front of the Benghazi committee, the big Bush news is that he's cutting back staff salaries and reassessing the campaign with his family. This comes right after Bush engaged in a remarkably stupid argument with Donald Trump about Sept. 11, as well as a series of ill-conceived statements from Bush himself. One such comment was his insistence that his tax policy would "let the big dog eat." This left many reasonable people wondering: What does "let the big dog eat" mean? Though the phrase is perplexing on several levels, it was intended as a common defense of standard-issue Republican economic policies. Bush was arguing that American businesses and entrepreneurs — the "big dogs" in question — are capable of great things, but that taxes and regulations inhibit this potential, preventing wealth generators from "eating," or fulfilling their economic potential. In essence, Bush was simply arguing for a laissez-faire approach to the private sector — minimal taxation and regulations. Many conservatives endorse this approach, but the phrase "let the big dog eat" is a terrible way to communicate it. First of all, it brings to mind the image of the most powerful creature in a pack dominating its less fortunate peers. That's basically the liberal argument against conservative economic policies. Progressives believe that, without taxes and regulations, big businesses will crush their competitors, and that the richest Americans will continue to prosper at the expense of low- and middle-income workers. Bush was using the analogy to tout his tax plan, but it sounds more like something Bernie Sanders would say while arguing that Republican policies have destroyed the middle class. The other problem with Bush's phrasing is less severe, but it's somewhat more obvious. Jeb! is getting crushed by his Republican rivals, and he's consistently struggled to stay relevant in the polls. When he speaks in favor of the big dog, then, it sounds counterproductive. Because let's face it: There is clearly only one big dog in the Republican primary, and it isn't Bush. It's Donald Trump. Of course, neither of those count as a substantive argument against Bush's tax plan itself; for that, we have Matt O'Brien, Jonathan Chait, and the Tax Policy Center, who have already provided excellent analyses of Bush's proposal (which is very similar to the policies his brother enacted as president). Bush's tax plan would lower tax rates on the richest Americans, but only the richest Americans, and would almost certainly increase income inequality. In that sense, Bush's plan would indeed "let the big dog eat." The problem is that Bush isn't being honest about who the big dog is.